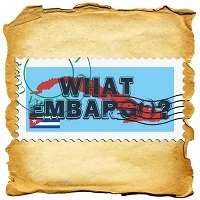 On What Embargo? Episode Sixteen Catfish and Big Tuna conclude their conversations on the "cheapo Habanos" and discuss their winner. After smoking through many of them, and have discussions, they determined that Jose Piedra is the winner. Expect a show filled with intense conversations on Jose Piedra and a discussion of some other brands that are not main stream. Along with that, expect some classic ramblings from Big Tuna and Catfish.